Well-located, Palms Hotel could be your perfect stopover if you prefer staying in a quiet location yet close to all the conveniences. There is a supermarket and various restaurants close by as well. Treat yourself to gorgeous views by booking a room on the upper floor. It is quite a delight to enjoy the breakfast along with a 270-degree view of the surroundings. Palms Hotel Mauritius Quatre Bornes is a 3-star hotel beyond the traditional legendary hospitality that attracts tourists and makes their stay, most memorable, in Mauritius. It is an urban hotel which provides the best services to the customers. The hallmark of this place is that it is located in the heart of the city and has been a fruit of dedication as well as perseverance and is an ideal accommodation for couples and honeymooners. The reason behind being such a level of perfection is that it offers the tourists the best accommodation and facilities at an exceptional value. 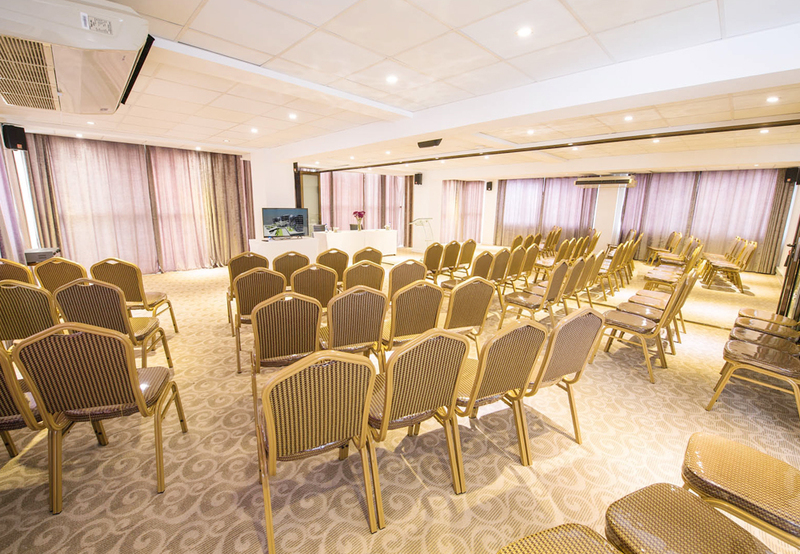 When it comes to the availability of luxury, Palms Hotel Quatre Bornes is the best hotel in Quatre Bornes. When it comes to accommodation, Palm Hotel Quatre Bornes Mauritius lives up to the expectations of the customers in the best possible manner as they ensure great quality and royal treatment. 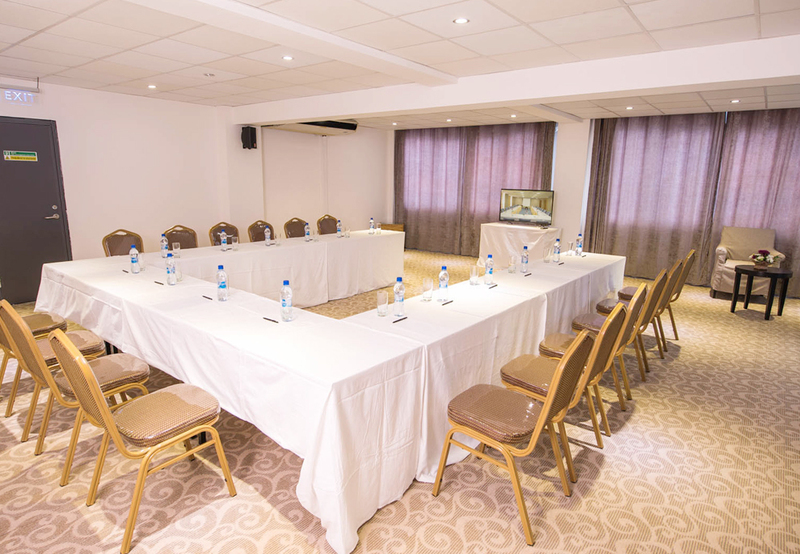 At Palm Hotel Quatre Bornes, the hotel offers special treatment to the guests with spacious and clean rooms. The guests have the privilege of selecting the most comfortable rooms among the 48 rooms available in Palm Hotel Mauritius Quatre Bornes. There is an option to select from a deluxe room, a superior room or the suite. All these rooms provide the best facility to their guests. The furniture and other facilities are also exceptional. Deluxe rooms in Palm Hotel Quatre Bornes Mauritius provide free Wi-Fi. These rooms are safe and provide all the features required to relax in Mauritius. 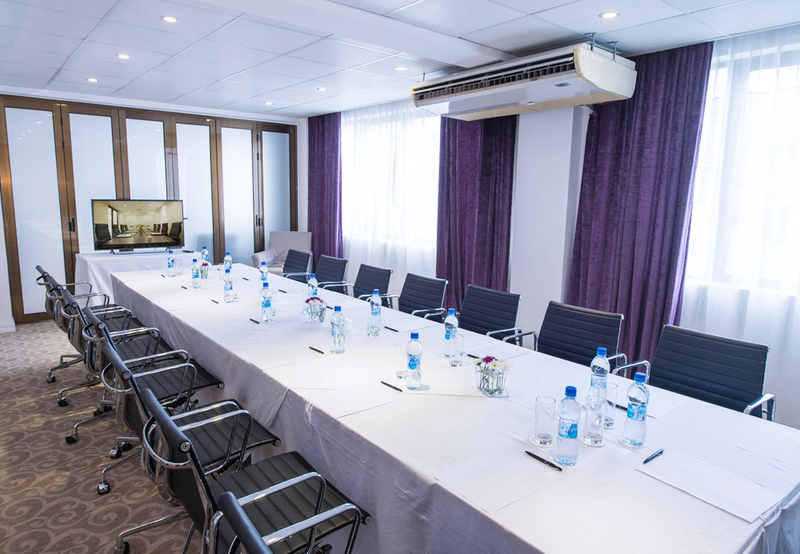 The superior rooms in Palm Hotel Quatre Bornes are a rich mixture of aesthetics, comfort and functionality which are best suited for business travelers. The suites of Palms Hotel Quatre Bornes are designed to provide the most beautiful views of the islands surrounding it. Palm Hotel Quatre Borne Mauritius has the best dedicated and experienced staff that can make it the best hotel to stay. With all the facilities it gives Palms Hotel Quatre Bornes is definitely the most competitive hotel in Mauritius. It is not just about the geographical importance that this place is famous, it is equally efficient in terms of commitment towards providing guest satisfaction. Palms Hotel Quatre Bornes has the best beauty centre, Crystal Cove, as it provides all kinds of beauty treatments to the customers in general and couples in particular. Apart from this, the reflexology corner and relaxation area are the most sought-after place in Palms Hotel. A continental breakfast is provided every morning in the hotel. Besides that, the hotel also houses and in-house restaurant known as the Royal China Restaurant that serves Chinese, Indian, Local and European Cuisines. Amidst the breathtaking views, the Sky on 12 Bar of the hotel offers a scrumptious palate. Guests can even enjoy breakfast at this restaurant while the drinks are served at any hour of the day. Venatas Coffee is also situated inside the hotel where guests can sip a cup of coffee whenever they like. The Palms Hotel proves to be a great choice for travelers who wish to spend a good time in Mauritius. Name some of the interesting places to explore near Palm Hotel Quatre Bornes Mauritius? The amazing places to explore near the hotel are The Trianon Shopping Park, Phoenix Mall, Maison Eureka, Marche de Goodlands, Safari adventures and many more. Is there pick up and drop facility available from Palm Hotel Mauritius Quatre Bornes? Yes, there is pick up and drop available which is covered under additional charges. Are pets allowed in Palm Hotel Quatre Bornes? What is the check-in and checkout facility in Palm Hotel Quatre Bornes Mauritius? The hotel allows check-in from 14: 00 and check out can be done until 12:00. How far is the Mauritius Glass Gallery from Palm Hotel Quatre Bornes? The most spectacular gallery, Mauritius Glass Gallery, is situated about 2.3 km from Palms Hotel. Palms Hotel Quatre Bornes is the best hotel for all those who wish to visit Mauritius. It is situated close to all the sightseeing and tourist attractions. Another highlight of this place is that it is loaded with all the amenities to make the stay of the guests more comfortable and memorable. It also has a bar and a restaurant that serves the traditional Chinese cuisine. The continental breakfast is delicious and is also the famous attraction of Palms Hotel Quatre Bornes. All the rooms in this 3-star hotel are air-conditioned with a wireless network and have LCD flat screen TV with a wardrobe. Whenever one is in Mauritius, Palms Hotel will always prove to be a wise and lucrative option. It is a nice place to stay and provides all the necessary amenities to make the stay memorable in Mauritius. Palms Hotel Mauritius Quatre Bornes is situated in St. Jean Road. Stay there and enjoy the bliss among the islands of Mauritius.